Dance to express, not to Impress! Ecstatic dance is a free form dance movement that has taken the world by storm. As its name suggests, those participating in this highly expressive and healing practice are able to reach altered states of mind, attaining a natural high that helps to release blocks and empower people to connect with themselves and their fellow participants in a truly profound way. Dancing skills absolutely not required. This is an event designed for a worldwide community of people who want to heal themselves through the medium of conscious dance, allowing their bodies to move freely to the sound of world rhythms, an individual process shared among a community within a safe and holding space. * Please note that this is a drug and alcohol free event. Participants can bring water but no substances. 6:15 pm > 6:30 pm Meditation Circle to ground within ourselves, within our bodies, and with the community and the space. Juana first discovered Ecstatic Dance in her hometown of Barcelona, Spain. She joined the community a year ago and has been dancing ever since. Born to her Armenian/Lebanese father and Finnish mother, Juana was raised in London and French educated. Thanks to her multi-cultural background, Juana has always had a thirst for travelling, learning about new cultures and ways of living. She is an avid proponent of self-actualization and believes in the power of community. 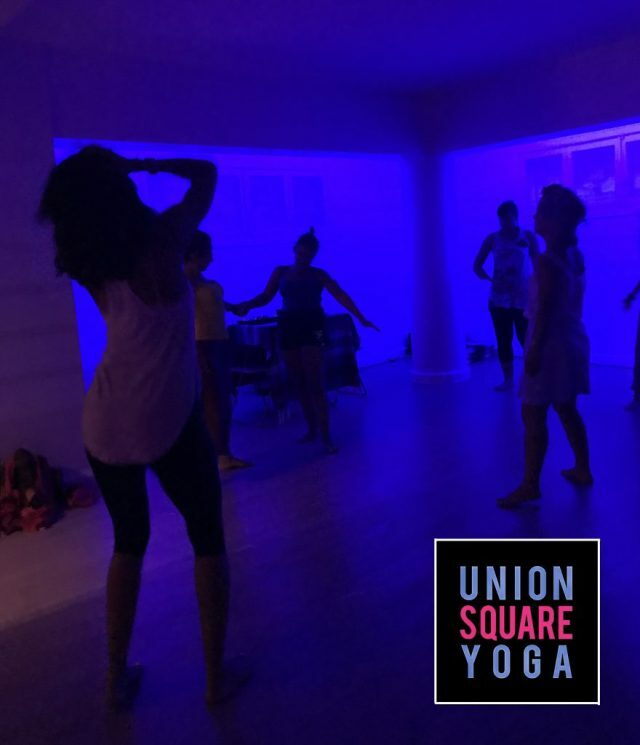 Juana will be in Lebanon for the next 3 months, working alongside Union Square Yoga to share in the transformative experience of Ecstatic Dance.